A Norwegian polar explorer, a Swiss governess and an exiled Pole found themselves in Siberia for different reasons. What they had in common was their interest in this region of Russia and a desire to share their experience with others. Learn about the adventures of these foreign travelers in an RBTH story. 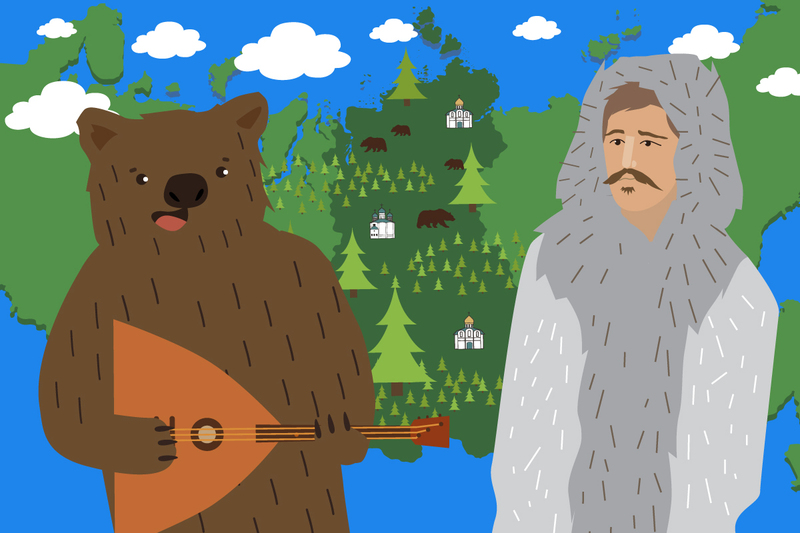 Foreign travelers who came to Siberia in the 17th–19th centuries described it as "a land of darkness and cold," often mentioning bad roads, hostile natives, bear hunting and bitter, freezing weather. However, those who spent a year or more in Siberia found inspiration in the natural world and the local people. They recorded their observations in letters, books and research papers. "It gave one a sense of standing at the gate of an immense country which contained everything, from the tundra and forests of the north to the deserts of Mongolia far to the south," wrote Norwegian polar explorer Fridtjof Nansen. In 1913, he embarked on a journey on a ship called the Correct across the Barentsev and the Kara Seas to the mouth of the Yenisei. This journey resulted in a book titled "Through Siberia, the Land of the Future." In his engaging traveler's notes, Nansen writes about the unpredictable Arctic ice and fog, the "manual" gold digging in Siberia (with a total yield of 32 tons in 1913) and that "timber [in Siberia] ... has no value." Nansen describes the lives and customs of the indigenous peoples of the Siberian North: the Khanty, the Nenets, the Selkups, the Evenkis and the Yakutians. While crossing the lands of the Nenets, the travelers met a shaman and wanted to see "a sacred rite." But it turned out that the ritual would not begin until they had paid for it. "Three rubles were handed over; he [the shaman] felt them and rang them, to make sure that they were good," Nansen wrote. His story about the shaman is relevant even in 2017. Ever since the Stone Age, shamans, hunters, forest inhabitants and mountain-dwelling people have performed their rituals in Siberia. Even today, many of the locals practice "sorcery" for money. Zoologist Elena from the Siberian village of Malaya Siya remarks with irony: "Trying to impress their customers, these so-called 'shamans' often take a bundle of thyme or some Indian incense sticks and burn them inside the cave under the pretext of 'purification' or 'contacting spirits.' Such rites are often nothing more than a scam for money." "K. told me that the journey to K. [Krasnoyarsk] is not enjoyable. He has told me he knows two Swiss governesses, both of whom are now married there, who cried a lot during the trip! K. has warned me that if I go to Siberia, I will stop calling myself Mademoiselle ... soon," young teacher Louise Olympia Rittener (1862–1950) wrote to her family in Switzerland. It was common for Russian noblemen of the 19th century to entrust the upbringing of their children to Europeans, so an employment agency in Geneva had no difficulty finding a job in Siberia for 20-year-old Olympia, who was willing to "get as far away from Switzerland as possible." To reach Krasnoyarsk, where Rittener was to work as a governess, the girl spent two months in a springless traveling carriage because the Trans-Siberian Railroad had not been built yet. In Krasnoyarsk, Olympia lived in the family of merchant and gold-mine owner Pyotr Ivanovich Kuznetsov. Olympia gave "Monsieur K.'s" daughter, 12-year-old Alexandra, lessons in French, German and music. In her letters to her Swiss family, Rittener wrote how she learned to crack cedar nuts: "[In Siberia,] they are called Siberian eloquence because when there is nothing to say, everyone starts cracking their nuts." Olympia wrote she had been able to understand excerpts from Turgenev's books when they were read at a literary soirée, and that she also attended balls and masquerades. The Swiss girl admired the beauty of the Yenisei and the Sayan Mountains. "Comparable to the Jura (a range along the France–Switzerland border) in altitude, but more exciting, varied and otherworldly, which features form the groundwork for many legends claiming that these peculiar peaks were created by giants." She also wrote that she preferred the -35°C weather to "exhausting heat." "Do not forget your little exile," signed the governess at the end of each letter. While Fridtjof Nansen and Olympia Rittener spent around a year in Siberia, Pole Wacław Sieroszewski did not see his homeland for 12 years (1880–1892). In 1879, Sieroszewski participated in a workers' movement and was given an eight-year prison sentence for resisting police. But the prison sentence was replaced with Yakutian exile. Sieroszewski, 22 years old at the time, became the first ethnographer to provide a comprehensive account of the way of life, culture and traditions of the Yakutians at the end of the 19th century. Sieroszewski was not an idle observer in Yakutia. In 1880 he arrived in Verkhoyansk, one of Russia's coldest cities, and married a Yakutian, Anna Sleptsova; they had a daughter, Masha. Living far away from his motherland, Sieroszewski wrote an academic work titled "Dwanaście lat w Kraju Jakutów" ("Twelve Years in the Yakut Country"), as well as stories about Yakutian day-to-day life. "Anya was a skilled craftswoman... She was the best at weaving kymny (a kind of whip used in wedding ceremonies), laying out a pattern of dark and light patches of fur, arranging ragtag scraps of calico in an adorable oyu(picture), which adds so much charm to a bile(embroidery on high boots), a bailer or a wedding matakha(a saddle bag; an indispensible part of the wedding attire)." Waclaw wrote this of his wife, whom he lost six years after their wedding.